Mercedes-Benz has launched the CapaCity L articulated bus, a new longer version of the Citaro based four-axle CapaCity model that has been available since April 2007. 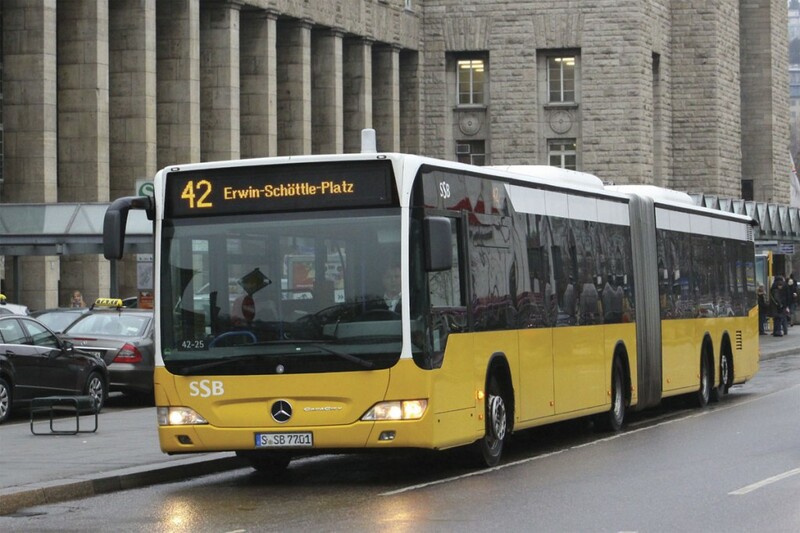 The longest Mercedes-Benz bus yet offered, it is 21m in length and provides space for up to 191 passengers as standard. It is around three metres longer than conventional three-axle articulated buses (which are limited to 18.75m) and longer than the original CapacCity model which was 19.54m long. Mercedes-Benz claims the CapaCity L is the ‘answer to current transport problems’, providing a possible solution for frequently used bus lines that are reaching their limits as passenger numbers continue to rise in larger cities. The manufacturer says the model is ideally suitable for BRT (Bus Rapid Transit) systems. The earlier CapacCity model is used on extensively on BRT systems such as those in Istanbul and Granada. Prior to production starting on the CapaCity L, the vehicle has had to pass intensive functional and practical tests, such as extensive winter testing in icy temperatures in Scandinavia. The initial bus is now to go through a customer trial with Hamburger Hochbahn, where it will be subject to real regular service operating conditions. It is being used on Metrobus Line 5 this year, which goes from the city centre to the university quarter in the north west of the city. This has been described as Western Europe’s busiest bus line. No elaborate conversions are necessary for the CapaCity L, according to Mercedes-Benz who claim that, despite its length, the high capacity bus is ‘surprisingly manoeuvrable’. Its design is based on the Citaro G articulated bus, with the key difference being that the front and rear sections have each been lengthened by one segment. Furthermore, a steered fourth axle raises the permissible GVW to 32tonnes. It features an automatic control system called ASA (Additional Steering Axle), which is what ensures the bus is so manoeuvrable. Another point Mercedes-Benz made about the CapaCity L is its green credentials. With a fuel consumption rate per passenger below 0.5litres per 100km when operated on a usual regular service route with a full complement of passengers. It is equipped with the six-cylinder in-line Euro6 OM470 unit with a displacement of 10.7-litres and an output of 360hp or 394hp. The fuel consumption equates to CO2 emissions below 13.3g/km per passenger. The CapaCity L features the ATC (Articulated Turntable Controller) system, newly developed by Mercedes-Benz. ATC controls the hydraulic damping of the articulated turntable quickly and on demand, ensuring optimum steering characteristics during normal operation. If any instability is encountered, such as on a slippery road surface, the system stabilises the articulated bus within the bounds of physical possibility. The company claims the ATC is the only system of its type to achieve anything like the effect of an electronic stability control system (ESP). Why the axles are laid out asymmetrically?